1st Choice Security Systems have over 10-years experience installing, repairing and servicing automatic gates in Essex. 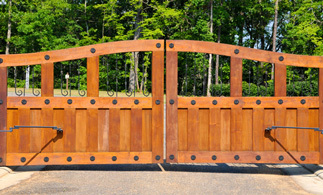 Our reputation for installing high-quality, safe and reliable electric gates in Essex is second to none. We specialise in installing bespoke automatic gates that closely match the requirements of our clients. Our highly-trained technicians will assess your requirements and undertake a site inspection before creating a detailed installation plan. We can help you choose the perfect automatic gate for your property, which an emphasis on security, safety, aesthetics and reliability. There are a wide range of devices which can be used for automated access control. Choosing the correct method for you property comes down to the number of people accessing the site, the level of security required and cost factors. Some of the most popular methods include card readers, wireless transmitters, digital keypads and vehicle tags. Automated gates can greatly enhance the security of a property. It is important to remember that crime continues to be a problem in Essex — there were 12,875 criminal damage offences between September 2014-August 2015. Automatic gates can help reduce the risk of burglary, trespass and arson on your property. Advanced security technology can also be incorporated with your automatic gate to further increase your security. Automation is particularly useful in commercial or industrial sites in Essex that have a high volume of traffic. Security staff can more efficiently monitor a location if they are not forced to manually authenticate every entrant. While having a gate automatically open for authorised personnel is a simple convenience for home owners, it can increase worker productivity for commercial or industrial installations. Vehicles can safely and efficiently enter the property, which is important for any business with more than a handful of employees. Many employers use automated gates in Essex in conjunction with other security tools including video surveillance systems, access control systems and intercoms. By combining security tools, the overall security of your business and safety of your staff can be greatly increased. Automation reduces the risk of human error. Instead of having a security guard attempting to determine the authenticity of a photo ID, the automated system automatically knows if the vehicle is permitted on the property. Automated gates can also use systems that scan ID cards and quickly determine their validity. By reducing the workload for security staff working on a security gate, you allow them to focus on other aspects of security around the site. Wooden automated gates are very popular for residential installations because they look fantastic and add a great deal of curb appeal to a home. An attractive wooden automated gate can also increase the value of your property while keeping you and your family safe from intruders. Our bespoke automatic gates can be customised to create a look that matches your home and your garden. Any automatic gate installation must take safety very seriously. 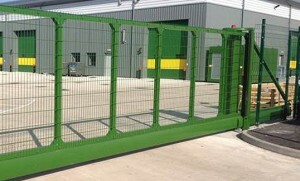 Heavy gates can be hazardous for people or vehicles if they are not properly installed or if they do not have the appropriate safety mechanisms. Every one of our automated gate installations are designed to have safety as the number one priority. We use a variety of safety mechanisms including warning noises, appropriate signage, photoelectric sensors, pressure sensors and safety cages. All of our automated gate installations fully comply with safety regulations. The simplest form of electric gate, which involves the gate panel sliding horizontally on rails or wheels. Similar to a sliding gate, but using wheels on the fence section instead of beneath the gate. The gate is cantilevered and “hangs” (not touching the ground). This is particularly useful for gates where the entrance has an uneven surface or impediments that make the use of gate rollers impossible. A swinging automated gate will swing inwards like a traditional door. The advantage of this gate is that it does not require much vertical or horizontal space. A very common form of gate for commercial and industrial sites, it is a simple mechanism that swings a barrier arm from a central pivot. A vertical pivot lift gate functions in a similar way, however the pivot is located near the ground. The vertical lift gate moves the gate up and down to allow entry, similar to a portcullis. This is a useful type of gate for locations with horizontal space constraints. These gates use folding hinges to operate like a bifold door. They are very useful for automatic gate installations that don’t have much available room. We have years of experience installing automatic gates in Essex, in a wide variety of operating environments. Our talented and highly skilled technicians can handle any challenge thrown at them. 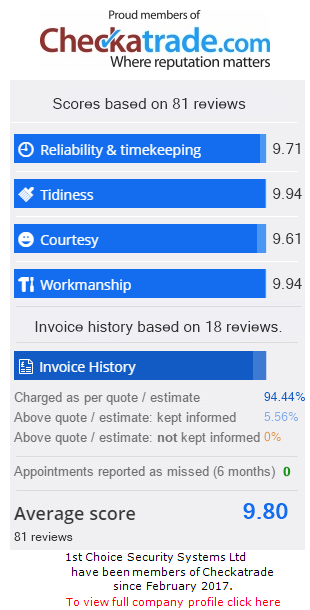 We do not compromise on quality and are proud of every installation we perform. The automatic gates we install are technologically advanced, reliable, quiet, efficient and most of all safe. If you are interested in learning more about automatic gates in Essex, contact us today on 01525 718757 for an obligation free quote!